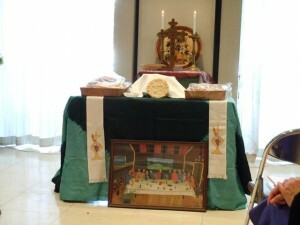 In a number of denominations the First Sunday of October is observed as World Communion Sunday. 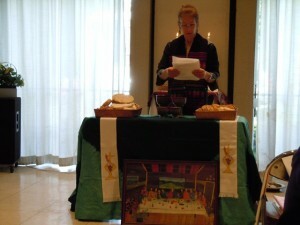 World Communion Sunday originated in 1933 through the Presbyterian Church (U.S.A.). In 1940, the National Council of Churches (U.S.A.) helped to make this day ecumenical and later the World Council of Churches helped to make it worldwide so now many other denominations all over the world celebrate communion on the first Sunday in October during worship. We are reminded today of others who believe in Christ throughout the whole world as we pray for all God`s people and pray that we can work co-operatively with each other in areas of mission and service. 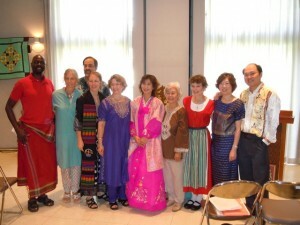 On this day we celebrate our oneness in Christ in the midst of the world we are called to serve. 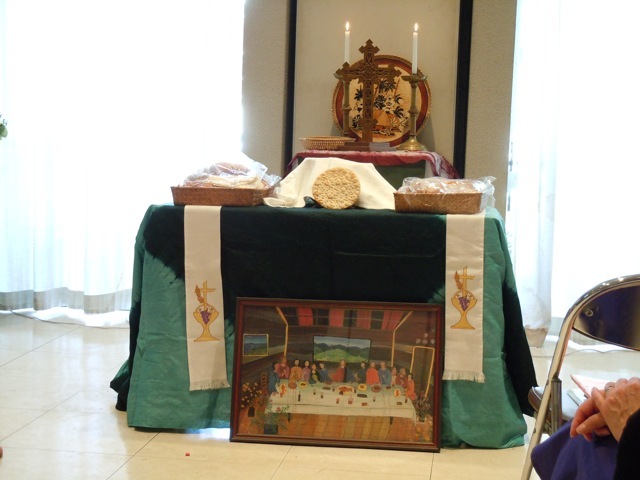 World Communion Sunday is a call for all Christians – of whatever background – and of whatever theological tradition – to recollect that we are in fact one in Christ – and that the table we receive from and communion at is God’s table – not our own. 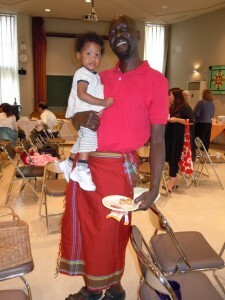 How did World Communion Sunday begin? 1933 was the darkest year of the Great Depression. The storm clouds of Nazism and Fascism hovered all over Europe and threatened the entire world. The prevailing mood was anxiety—fear about economics, fear about politics and fear about the future. As a faith response to the fears of three generations ago, in 1933, the pastor and a group of leaders on the Stewardship Committee at Shadyside Presbyterian Church, Pittsburgh, U.S.A,. sought to do something both real and symbolic, to proclaim that God is God indeed, in spite of politics, economics and future shock. How, they wondered, might one church counteract the pessimism of the larger society? How might they succeed in eliminating the walls of separation between Christians? Their pastor, Dr Kerr had an idea of a a service of Christian unity—in which everyone might receive both inspiration and information, and above all, to know how important the Church of Jesus Christ is, and how each congregation is interconnected one with another. The Church is one in the Spirit and one in the Gospel of Jesus Christ, although we may not display our unity clearly to the larger world. This is why World Communion Sunday is so vital to our shared witness and why we would be remiss to lose sight of its origins. It may seem incredible to some that such a far-reaching idea had its beginnings not simply in a committee, but a stewardship committee. However, we believe that Jesus is present where two or three or more will gather in His name. So, how can we be surprised by what the Living Christ can do even with the most prosaic of committee responsibilities?